Repositionable notes stay firmly in place. Apply and reapply. 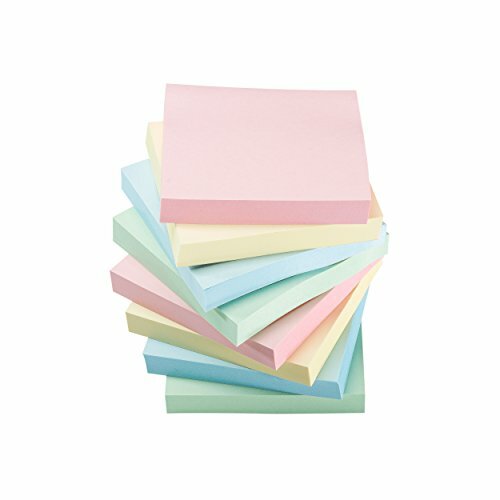 Self-adhesive notepads use solvent-free adhesive. Each pad includes 100 sheets. 3 x 3 inches, 12 Pads / Pack, 100 Sheets / Pad, bright colors, easy to find messages what you write. High quality paper, easy to use and peel, no residue, can keep clean and tidy. If you have any questions about this product by Klingy, contact us by completing and submitting the form below. If you are looking for a specif part number, please include it with your message.